A dairy technologist’s job involves much more than just bottling milk. The various procedures require an understanding of chemical, biological, and technical processes. At the University of Applied Sciences and Arts in Hanover (HsH), the university studies are diverse and pay off later on the job market. 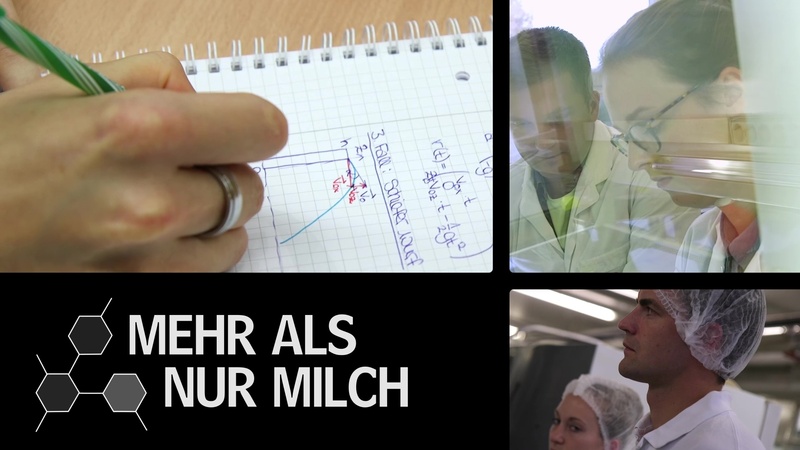 The “dairy technology” degree programme is unique in Germany, and many graduates from Hanover are now working in various companies as esteemed experts. I first finished an apprenticeship as a dairy specialist and then thought about taking my profession to the next level. After my A-levels, I started out studying chemistry which was much too theoretical for my taste. So I decided to look for something more practically-oriented and soon discovered HsH and its dairy technology study programme. It focuses on natural sciences, technology, a bit of business administration, and the practical implementation of what we are learning. The seven-semester bachelor’s programme includes an introductory study period of two semesters that introduces students to the basics of science: maths, physics, statistics, informatics, and chemistry. But also microbiology and anything else you need to know about food and food processing. I was surprised that this department is so small and charming. In chemistry there were 300 students. Here we started off with 80 or 90 people. You don’t need an appointment to see a professor, the doors are always open. This is a very familial setting. The basics studies are followed by the advanced study period that is directed towards deepening the knowledge and focuses on milk in semesters 3 and 4. That’s when students start their internships at the Technikum or the Institute for Microbiology for some hands-on experience. This helps them to learn and understand things more easily. We’ve created various products during our dairy technology internship: curd cheese, yoghurt drinks, chocolate dessert, and different kinds of cheese – Just to see how this knowledge can be applied later on. Once students are familiar with milk technology and process engineering, they get to do a practical fifth semester in a company, either abroad or here. This is the students’ first contact with the business. They return in their sixth semester to learn more about foods, food facilities, and food processing. Being trained in such a diverse manner is a great advantage. We can work in many different fields, not just the dairy industry but also for example the chocolate or sweets industry. The seventh semester is all about getting your bachelor’s degree – if things go well. Students again spend time working in a company and writing their bachelor thesis at the university while they continue to gain practical experience. The combination of technology, sciences, and everything related – especially the internships – is perfect for me and I’m very happy with this programme.